Hello! Have you all had a lovely bank holiday weekend? I hope so. Firstly a book recommendation because it fits nicely with the theme of this particular post (mental health) and secondly because it's an incredible read. 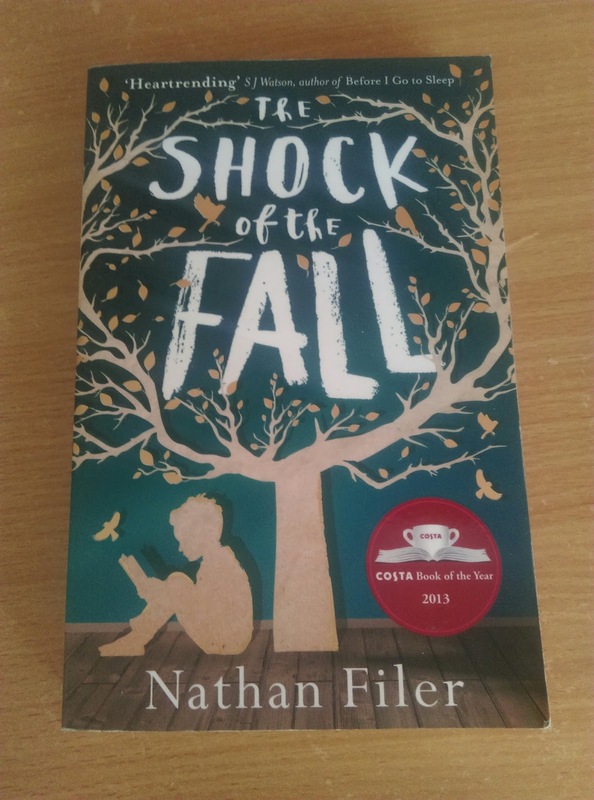 Click here to read more about Nathan and his book. Like Dr Seuss himself said... 'Be who you are and say what you feel, because those who mind don't matter, and those who matter don't mind!' Or at least it's something along those lines. There are many people out there fuelling the 'stigma' that surrounds mental health but I firmly believe that this is due to no fault of their own. I think it's purely down to a lack of understanding. And secondly I guess the fear of the unknown. Of course there will always be the handful of others that just want to think what they think. Rome wasn't built in a day and likewise it'll probably take several lifetimes before we alter the whole world's perception. I'm not a believer in lecturing others or shoving things down people's throats, but I do think education is vital if we're ever going to change anything. So I'm just going to share a little bit about my own experience. Read on if you wish, perhaps get a brew first. This one's a tad longer than the norm. I never considered myself 'mentally ill.' I still have difficulty accepting that label even today. Even the way the words roll off my tongue leaves a bad taste in my mouth. Is it any wonder stigma exists when we sufferers struggle with it ourselves?! You'd think by now there'd be a less 'obtrusive' term for what it is. As a child I didn't know I had a problem. I was just the black sheep so to speak. My earliest memory of feeling on edge, of having the overwhelming urge to carry out a 'checking ritual,' was when I was about seven years old. To not carry these rituals out would cause me great distress that would affect me for days. Whereas my family just thought me 'odd,' that it was a phase I'd grow out of, I can remember feeling constantly frustrated and anxious. And heaven forbid someone would interrupt me during my 'checks.' I'd become angry and upset and would have to start all over again until I felt content. The 'contentment' would only last seconds before I'd feel the need to do a ritual or set of checks again. Years went on and unfortunately so did my peculiar habits. By the time I was a teen I was also suffering from anxiety attacks that would be completely debilitating. No-one knew what they were at the time of course, least of all me. I didn't really talk about them. Not to my parents at any rate. My dad was always of the mindset 'mind over matter,' and that I should just stop being a drama queen. I suppose it wasn't really his fault that he thought that way. He just never understood my anxieties, what was going on in my head or that I couldn't stop the thoughts. Eventually I did see a doctor, but only because I was complaining of constant chest pains and palpitations, so my mum made me go. Hard to believe now but back then I was a painfully shy teen. I couldn't even speak to the doctor much. I just nodded and answered in all the right places. I don't think he had a clue but the best thing he could have done was refer me to have a twenty four hour heart monitor. When the results came back we talked about possible causes for the irregularity of my heart rate. For the first time I opened up a little bit. After much discussion I was later diagnosed with generalised anxiety disorder. The palpitations and chest pain were simply symptoms of anxiety/panic attacks. With prescribed beta blockers to help, I tried to get on with normal life. Time passed and I eventually started working at the dental practice where I still work to this day. Although I loved my new job, the steady income each month and the people I worked with, I was still crippled with anxiety attacks and my need to check things, constantly also asking for reassurance. I drove my family and closest friends mad. Funny thing was that if you didn't fall into that minority you wouldn't have had a clue that there was anything even wrong with me. I had become an expert at hiding my 'weirdness.' Known to most as a happy-go-lucky, bubbly girl, most people really didn't suspect a thing. It was at some point in my early twenties that I decided to get professional help. I was sick of tablets that barely did anything and sick of living within the limitations of my mental illness. My anxiety was crippling me. It was dictating my life and I hated it for it. So back to the doctors I went. I was prescribed different medication and referred for therapy too. In theory with therapy around the corner, I should have felt like I was on the road to recovery, but then on my very first therapy session I freaked out. The mental health nurse who was sat in front of me was someone I happened to know. To say I froze would be an understatement. The other two members of the mental health team continued filling in their paperwork oblivious. I often wonder how being experts, they didn't pick up on what was going on. I can vividly remember the roaring in my ears, the heat rising in my face as a panic attack began to set in. Sweat pouring down my back profusely, heart racing. I needed to get out of that room. Forcing a smile onto my face I simply nodded along, answering all the questions with lies because I was desperate to escape. I was afraid of being laughed at, of being judged or worse still... sectioned. My mum was sat flicking through a magazine in the waiting room when I reappeared. I told her what had happened. She wanted me to go back in and explain, request to speak to someone I didn't know. But I was already past the point of no return and just wanted to go home. More years went by until my mum, ever supportive, pushed me to finally go back for more help. After being placed on an initial waiting list I finally started my CBT therapy a few months later. It was during my treatment with the mental health team that I was diagnosed with OCD on top of my initial GAD diagnosis. I went home and researched this, read through the literature that I'd been given. Everything finally clicked into place. It was almost a relief to know that I wasn't just 'weird' or 'different.' My sisters and I even laughed at remembering all my odd childhood habits now we knew what the root cause was. The mental health staff were great. My psychologist even more so. I learned how lots of factors can cause mental health problems and how it was due to no fault of my own. My therapy continued on a weekly basis, I was off my meds for the first time in years and although it was hard I felt that I was finally getting somewhere. Therapy wasn't the easiest of things. It was literally like opening a cans of worms that I hadn't even realized existed. Talking through thoughts, memories, feelings that I'd tucked away in the deepest, darkest places in my mind... It was emotional to say the least. Looking back I think if I'd have carried on with my therapy then, things might have been very different. But as with most things, it ground to a halt when I was told the nhs only had funding for so many hours of therapy. If I needed more I would have to go back through the system which would mean another waiting list. So after about six months of therapy I was left to my own devices. That in itself sent my anxiety spiralling back out of control. I hadn't realized how much of a crutch my therapist had become. Without her I couldn't cope. Life went on and it wasn't long before I found myself back on medication. Although I was struggling internally, I always kept a smile plastered on my face so no-one would know my secret... Little did I know I was about to fall headlong into a period of chronic depression. I won't go into all the life events that occurred that ultimately led to the depression and my breakdown. (We really would be here all day and this post is already long enough.) What I will say is that I had a lot of crap to deal with. I think any normal 'mentally healthy' person would have had difficulty dealing with some of what I went through. Me? Well I just couldn't hack life anymore. Depression is many different things to many different people. For me it was like being in the darkest place possible. Crying for no reason at any given time. Feeling sad when I had every reason to be happy. Headache after headache, day after day. I'd be surrounded by people and yet feel so alone. It's not that I wanted to die as such. It's just that at the time I didn't want to exist anymore. I didn't want to feel so much. Or to feel anything really. Apparently there is a common overlap with mental health disorders so I guess you could say I got a triple whammy. Why am I even telling you all of this? It's not because I want self pity. Far from it. I just want to do my bit to try end stigma in society, to educate. I want people to understand that mental health disorders such as anxiety, depression, OCD etc are illnesses just like any others and that we're still just human. We're not bulletproof. I've been called psycho and crazy many a time and it's not nice. I'm not a psycho nor am I crazy. A little ditzy maybe... But I hurt just like the next person. People are quick to judge, to react. I have to try to remind myself that perhaps that's just down to their fear of the unknown. The positive in all of this is that I survived. Or should I say I'm 'surviving.' If there's one thing I've learnt about my illness, yes I could be doing great today but by tomorrow I could be once again plummeted into the depths of despair. I never know from one day to the next how I will feel but I try to remain positive. There is no cure. You don't necessarily get better from mental illness. But you do get better days. Like I've learned, it's all about using coping strategies. I'm also finally on medication that works better for me. I've had more therapy and will be continuing that soon with a mental health team that I can only call amazing. I have a fantastic GP who feels more like a friend. She knows me only too well. Sometimes I can tell her I'm doing ok when I'm really not so great. She'll see right through it and put things in place to help stop me from spiralling back out of control. It's by no means perfect but I'm here aren't I? I've found that the key is to take one day at a time... I'm learning to at any rate. I hope that by sharing this part of me you will feel like you know me that little bit more. More than that, I hope this post has a positive impact on someone, somewhere who needs it. It really is true what they say. Words can make a difference. Lastly, it took a lot of courage to write this. I am worried about the reactions I will get. It doesn't help that I've had huge levels of anxiety of late with the loss of my Nanna. I have been feeling somewhat overwhelmed hence the lack of blog posts up until Friday. I hope none of you think any less of me. I am afterall still the same old me... Still a dreamer, still writing and still a friend to you all. I loved this book so much when I read it. I think it's great that more books are beginning to discuss mental health. Having been through some issues myself in the past, it struck a cord and made me reconsidered how I generally treat people day to day!